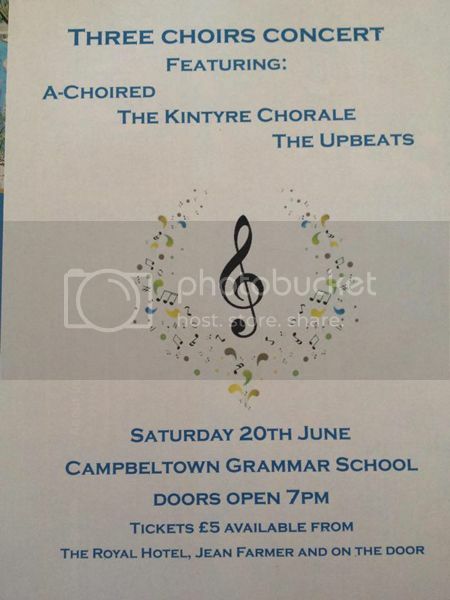 I've been asked to help promote the Three Choirs Concert on Sat night at the Grammar School. Anyone who heard them at the Saddell Abbey 50th Celebrations will know how good they are. Tickets are £5 from The Royal Hotel, Jean Farmer and at the door.